For too long our view of School Improvement has been London centric; London has quite a unique context with its own drivers and challenges. For schools that are educationally isolated, there are things to learn from the approaches of major urban areas; however, the contexts are so different that the improvement journey must also be. 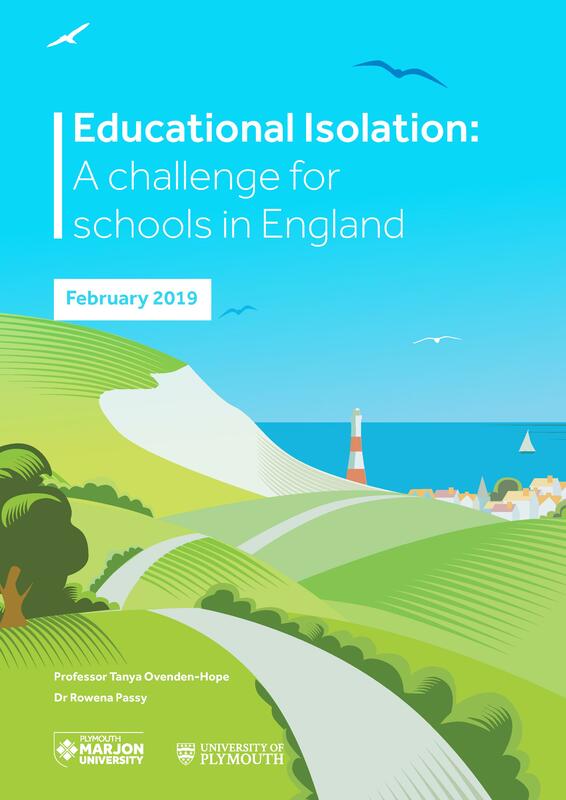 Professor Tanya Ovenden-Hope, Plymouth Marjon University and Dr Rowena Passy, University of Plymouth have produced an report containing deep insights into the quite specific challenges and some potential policy solutions to support these isolated coastal and rural schools. I was delighted to be given the opportunity to introduce their report on Educational Isolation. The introduction is below and a link to the main report is at the bottom. It has been both a privilege and challenge to work for nearly twenty years in a school and community that shares many similarities with the “coastal and rural schools” at the heart of this research. These educationally isolated schools, and the hard working school leaders within them, deserve recognition, consideration and specific support (I’d also add teachers and support staff but they weren’t interviewed as part of the research). As you read the Educational Isolation Report I would urge you to give deep consideration to the authors’ definition of educational isolation. It brings together: geographical location, socio-economic disadvantage as well as disadvantage due to limited diversity or access to cultural resources. These are multipliers of isolation rather than summative elements. Their definition begins to delve the absolute depth of the challenge facing these schools and their communities. To what extent will the recruitment and retention strategy begin to address the issues raised in this report? Will the Comprehensive Spending Review address and reverse the decades of chronic underfunding these educationally isolated schools have endured? Will the new inspection framework have any relevance to these schools’ improvement journey? Not without justification, these educationally isolated school leaders are frustrated by those that control resources without truly understanding the ‘context’ the school has to work in. Currently our accountability system is too narrow and unforgiving. What is required is a far greater understanding of the different improvement journeys required by these schools. Decades of limited access to school improvement resources – high quality workforce, school to school support and funded school improvement interventions – has led to educationally isolated schools feeling like they have been forgotten. They arguably have and it’s time for this to change. This report offers a series of proposals for consideration by policy makers, funding agencies/organisations and stakeholders that begin to move the debate towards a more bespoke, coherent and cogent place-based school improvement process. We must now move to school improvement for all; we owe it to all our children and young people, no matter where fate determined they would be born and brought up. If you’d like a copy of the full report; you can download it here.